So, I haven’t done much new on my Orcs and Goblins, however I do have my Spider Riders ready to get some colour on them. 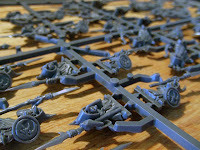 When you first get your models, they are in a box and each model is on a sprue, whether they are plastic or metal. The first job is to remove the pieces you would like from these sprues, tidy them up and put them together. This requires a pair of clippers and a craft knife. Both of which I forgot to put into my original costs, but they will last you for a long time so it’s not too much of a sacrifice. Once everything is tidied and glued together (I often use the Army Book or box pictures to work out where everything goes) you can undercoat them with your spray paint. I’ve been told that black is better, especially if you think about the Night Goblins, who are mainly covered in a black cloak! 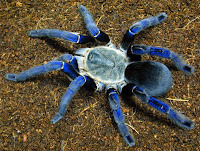 And so it appears that I can have my blue spiders, which has made me very happy. 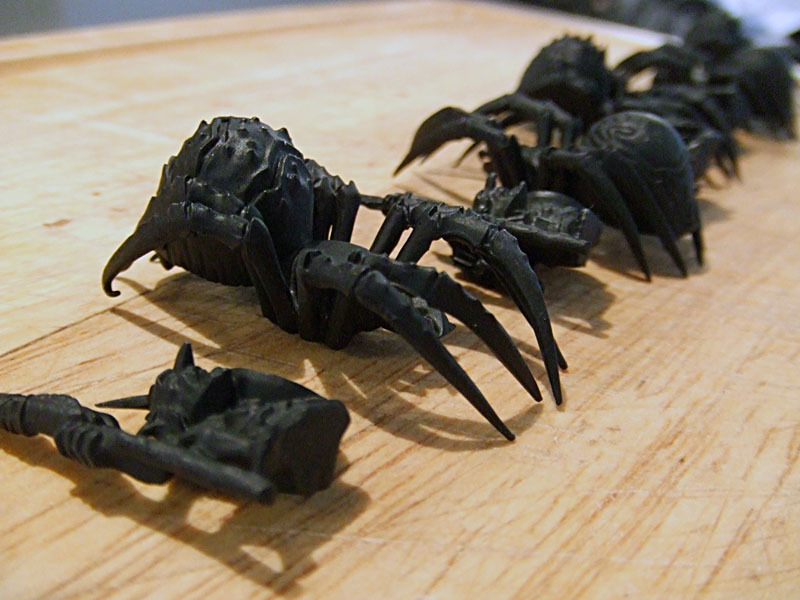 I have also chosen to keep my spiders separate from my goblins for the moment, as I don’t feel confident painting such a fiddly model on top of the spiders. This is entirely optional depending on how confident you feel. I guess I had better get a move on, then, or I won’t have anything to post next week! Well, as long as there's a blue spider in real life that's perfectly acceptable.